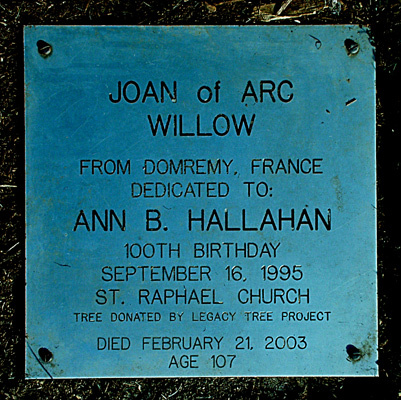 There seems to be a never-ending number of ways that people have honored Saint Joan of Arc and this willow tree is one more example. 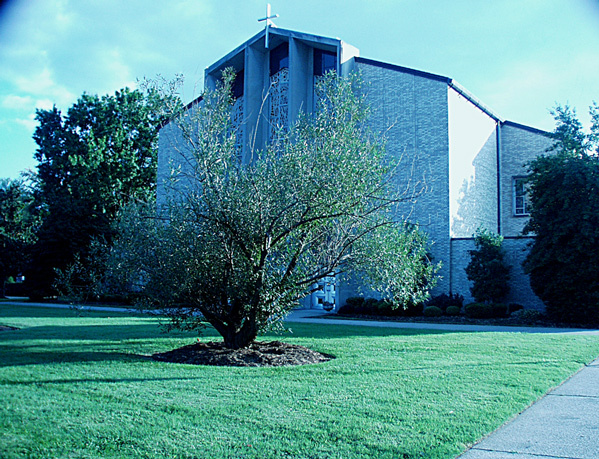 This willow was transplanted from Joan's hometown of Domremy and now resides at St. Raphael Church in Louisville, Kentucky. Next door to the church is a Catholic girls school with plenty of young ladies for St. Joan to inspire.